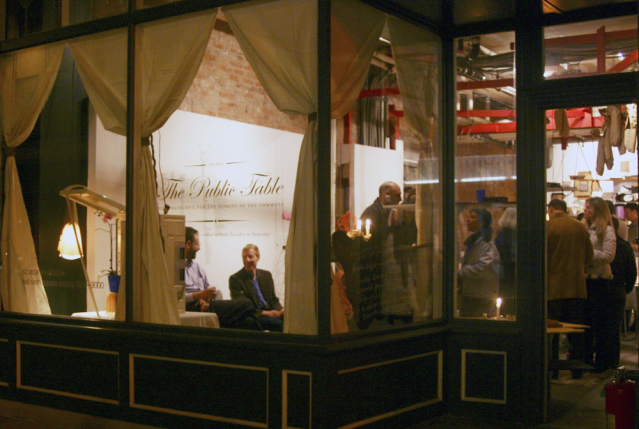 The Public Table was a temporary, experimental and “cost-free” restaurant created in Downtown New Haven in 2005 by the Spurse collective, hosted by Artspace, where I was working at the time. 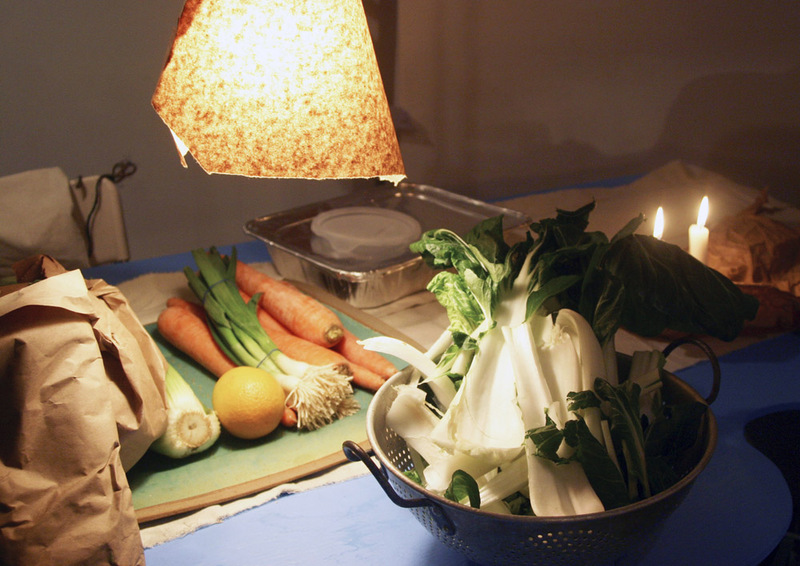 I loved the project, which was an exercise in gleaning. Spurse artists spent their days scavenging or collecting donations of everything they needed to run the restaurant – from the furnishings and ingredients to the recipes and ideas for what to serve. My humble contribution was the lettering for the restaurant window (visible above) and some documentary photography, shown here. More info and images on the Spurse project webpage. Project category: Design. 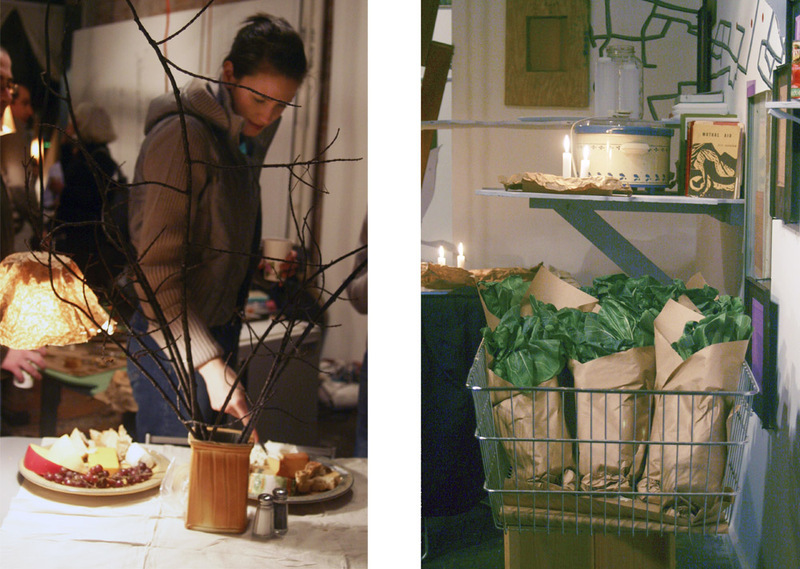 Tags: art, food, lettering, restaurant, signage, windows.